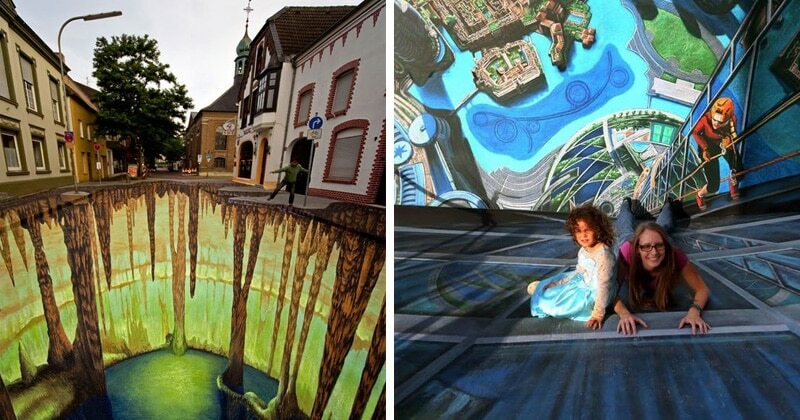 The world is full of some fantastic places and we’ve been creating structures of wonder since the dawn of mankind. Our buildings can also look rather daunting sometimes and there are plenty of buildings out there to make your heart jump in your throat when you see them. 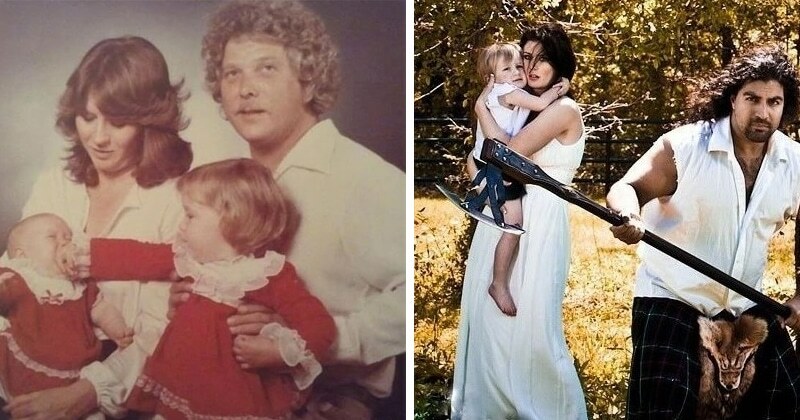 For example, these are ten scary bridges you want to cross at some point in your life. You know a bridge is scary when you have people unwilling to drive across it. 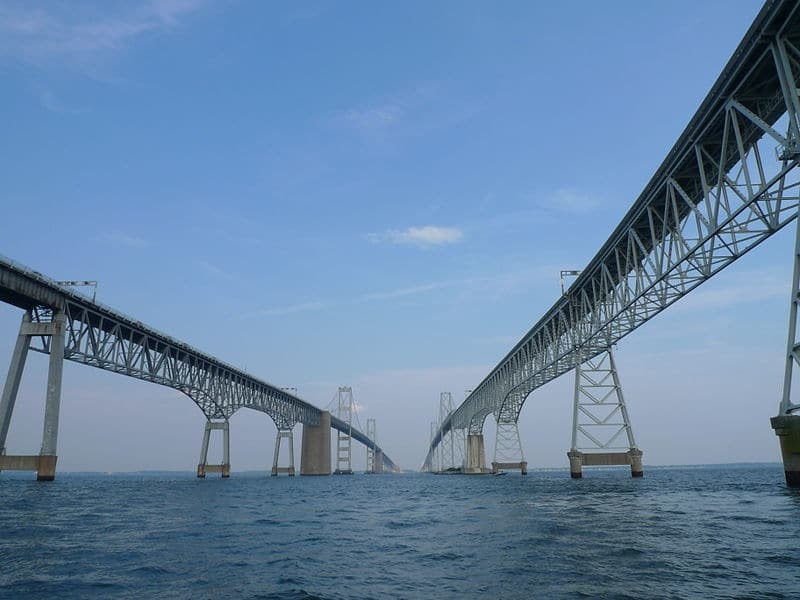 That’s right, Chesapeake Bay Bridge is so spooky some drivers pay actual money to have someone else make the journey for them. The bridge has had some stories of horrific instances so it isn’t really any wonder some might be willing to part with their cash in order to make it on the other side. 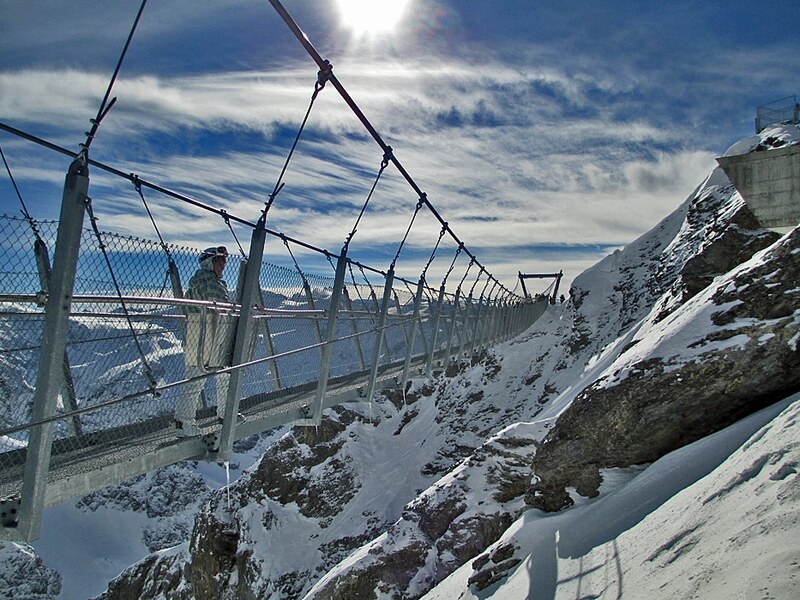 Titlis Cliff Walk is perhaps the most dangerous bridge in the whole world. The bridge is built along the cliff of the Mount Titlis and it was made for pedestrian use. If you can manage to walk on it, you’d be walking three thousand meters above sea level. The bridge itself is just three meters wide and around 98 metres long. 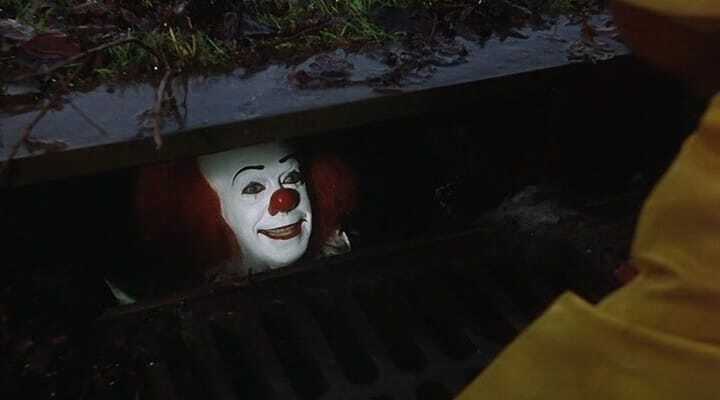 It’s been around since 1913, so it has seen quite a bit and it continues to attract thrill-seekers from around the world. Canada is home to one of the world’s longest and highest suspension bridges. 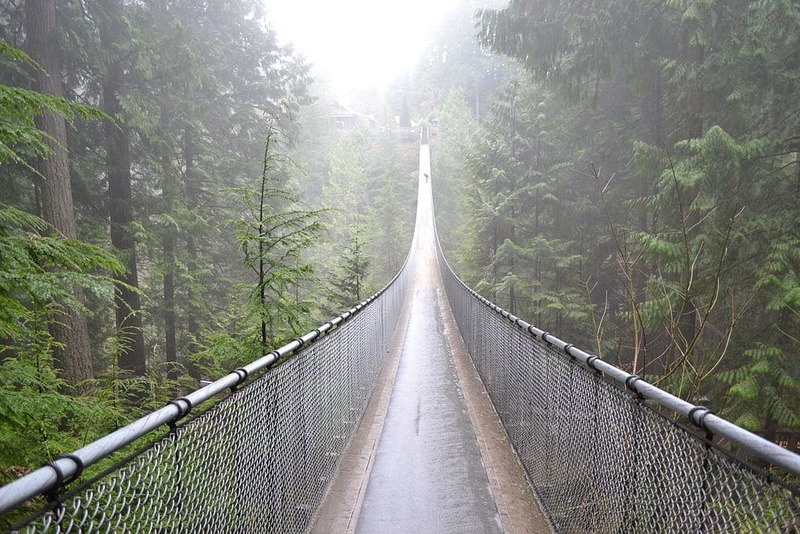 The Capilano Suspension Bridge sways around 200 feet above a steep canyon. The views are great but you’ll definitely feel a few sweat drops forming once you take the first step. Just don’t read the stories of people falling off it! 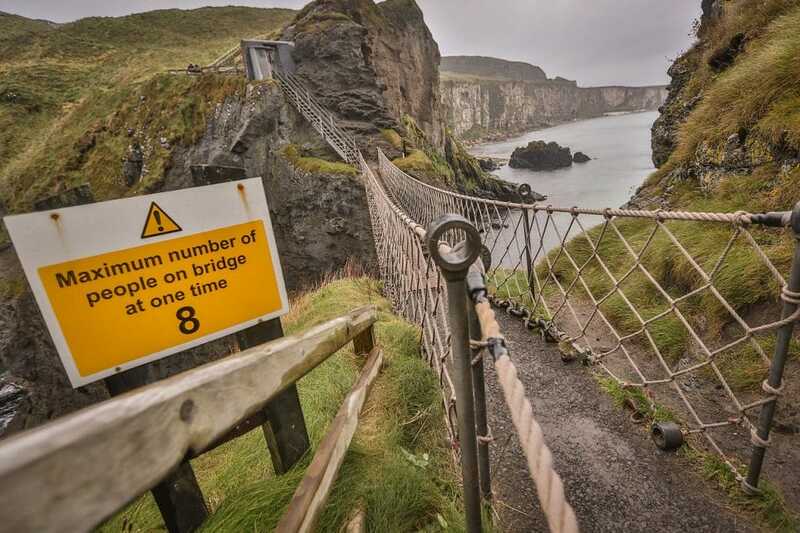 Northern Ireland is home to one of the world’s most famous rope bridges. The Carrick-a-rede bridge connects the mainland to the tiny Island of Carrickarede and the experience of walking on the bridge is stunning. The bridge is just 20 metres long and it’s around 30 metres above the rocks below. It is such a popular spot that you do need to buy a ticket to walk on it. You can find a bridge in Vietnam that’s not as scary as it is physique building. 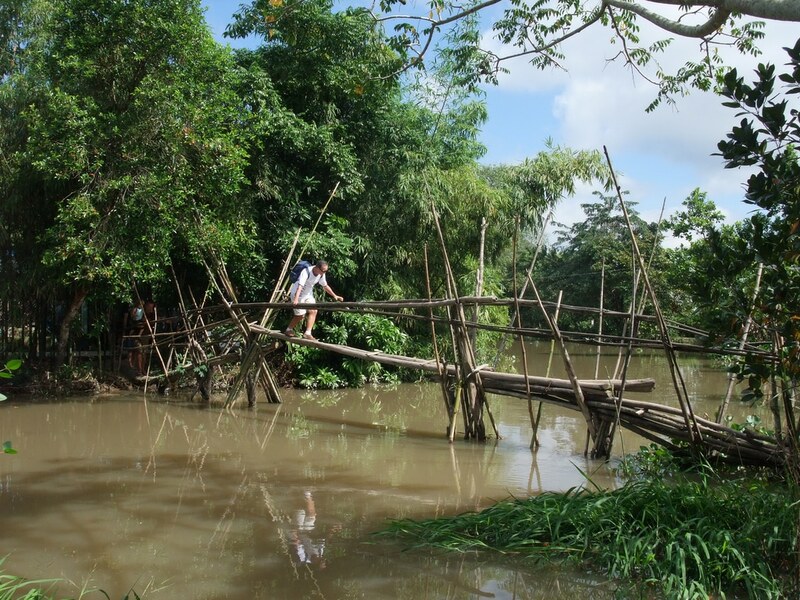 The Monkey Bridge takes quite a bit of balance and good muscle use in order to get on the other side. The bridge is built using logs and it’s directly above a small lake. The centre of the lake has a giant log to add some balance but you’ll most likely end up looking like a monkey crossing the bridge due to the shaking nature of it – hence the name! The Alps offer some stunning scenery for us and you’d want to experience the mountains at least once in your life. 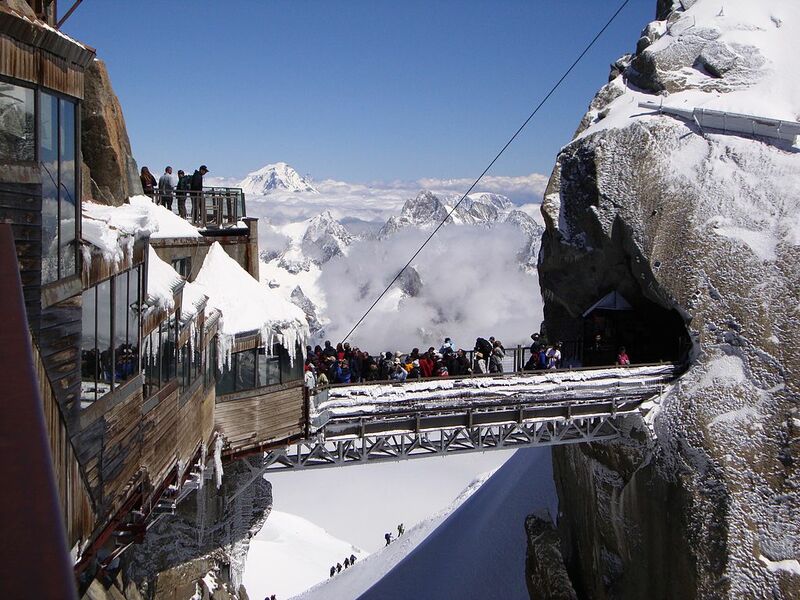 If you do, you might want to experience the scenery from the Aiguille du Midi Bridge in France. In order to even get to the bridge, you would have to take the world’s highest vertical ascent cable car first. You’ll then be able to enjoy the views from the short footbridge around 12,000 feet above sea level! 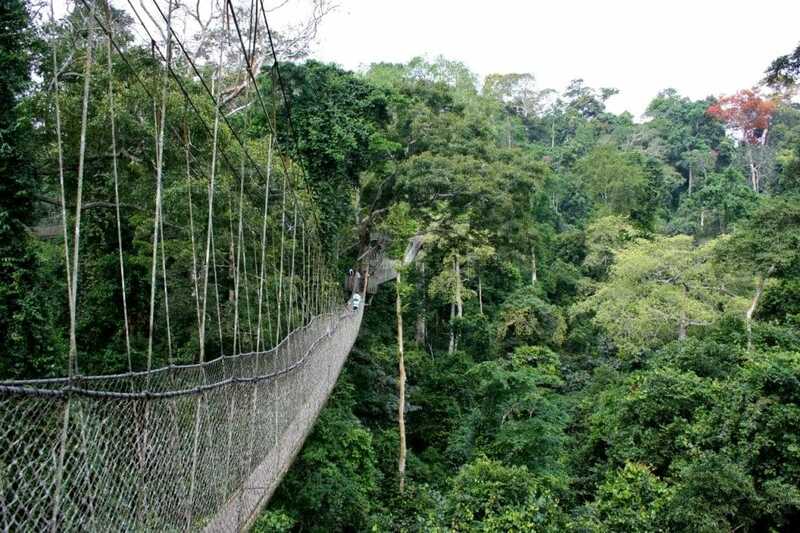 If you find yourself in Africa and particularly in the beautiful country of Ghana, don’t forget to visit the Kakum National Park. There you can find the eerily bridge of Canopy Walk Bridge. The bridge was solely built for attracting tourists and it’s a jaw-dropping experience. 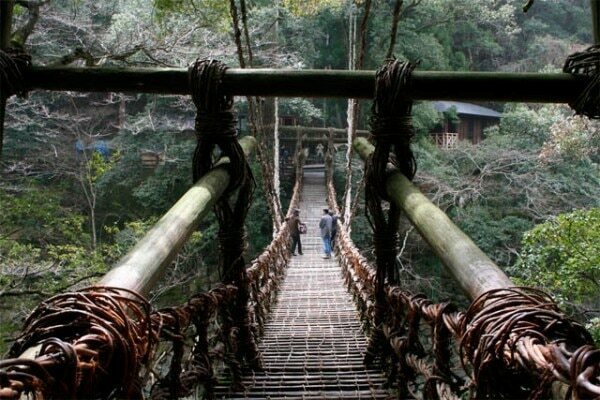 The seven separate bridges hang from the surrounding trees, creating a beautiful yet terrifying walking experience. James Cameron might have been inspired by the Stone Bridge and its surrounding views when creating Avatar, but the bridge is mostly just freaking scary. 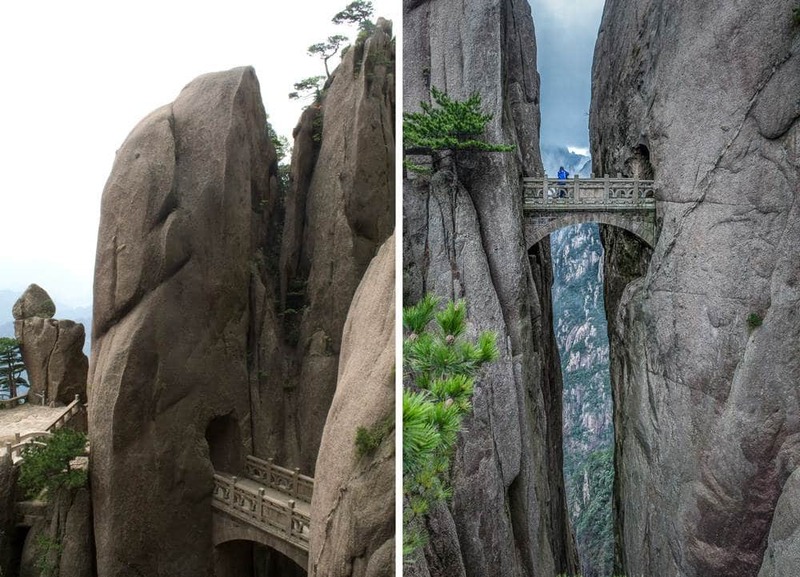 The overpass is built into the granite mountains and the carved pathway with its wooden boards is seriously terrifying. 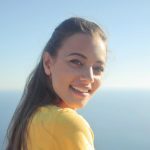 HostelBookers.com has a selection of affordable rooms in the area so give it a go if you are brave enough. Musou Tsuribashi stands for the Matchless Suspension Bridge, which should already ring some alarm bells. The bridge is constructed with wire and thin wooden boards alone and it literally creaks every step of the way. It’s not something today’s health and safety standard might accept as a solid bridge! 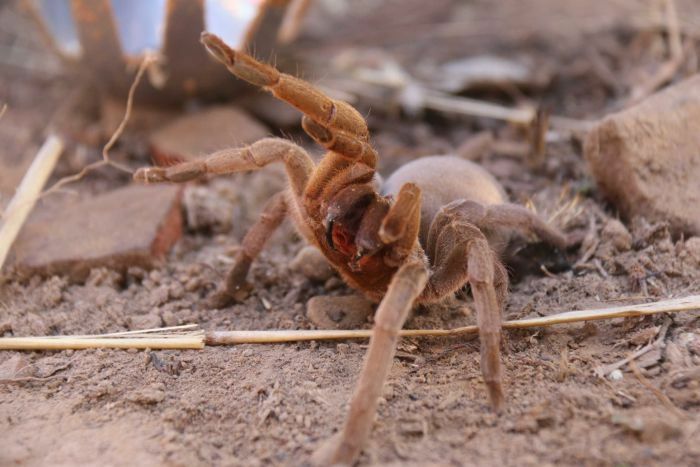 Those looking for a real daredevil experience should head down to Down Under. Rent yourself a car and take the country’s most hazardous and dangerous road trips. Your trip will take you to the Snowy River National Park and you’ll witness one of the biggest engineering feats of all time. 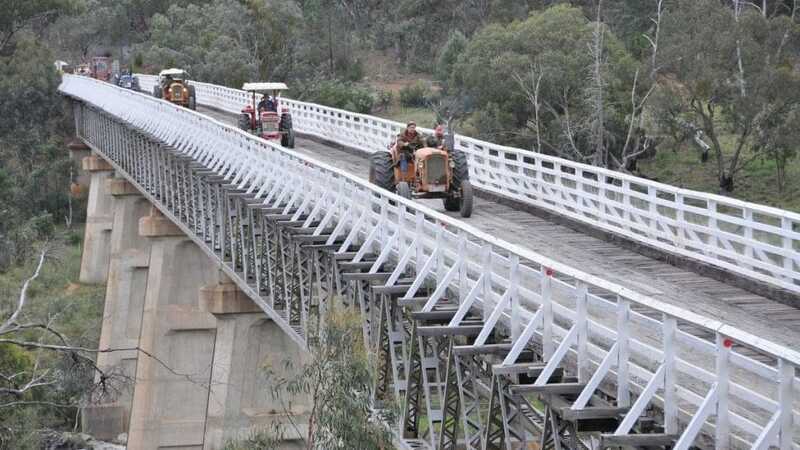 The McKillops Bridge was built between 1931 and 1936 and it’s over 250 metres long. The views below are off a stormy river, so you might want to focus on the forest ahead. If you have what it takes, then you might want to check out these ten scary bridges!